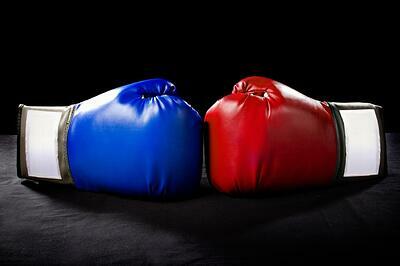 Since sales and marketing teams have existed, there have been many epic battles between the two. Perhaps one of the most heated and frustrating (for both sides) has been the battle over personalizing content for prospects. Full disclosure: I’ve been a marketer for 20 years and would certainly admit that I tend to take a marketer’s viewpoint on this. Marketing’s job has always included creating (some might say controlling) the message and content sales reps use to sell the company’s product or service to customers. The content ranges from simple sell sheets to case studies to complicated, detailed presentations and proposals. Hours of hard work and thought go into creating each piece (at least the ones I did). Careful consideration goes into building the right message and maintaining consistency. Often, some of the purpose and reasoning is out of the sight of the sales team. Sales teams use the content as part of their selling toolbox. However, in many situations, they find that the content could be more effective if it was just a little bit different. Maybe it needs to include more information or a different graphic to make it more relevant to their prospect. That’s when they start asking for the source files so they can make that “minor” edit…and the battle begins. In fairness, a large part of the problem comes down to different perspectives for each role. Marketers, responsible for organizational messaging and brand positioning, tend to view this very holistically; and while they certainly understand the forest, they’re not always clear on the types of trees that are there. Salespeople on the other hand, view every opportunity through a prism of one. Every interaction is unique (and in some ways that is true). Salespeople see the individual trees, but they often don’t see the forest. As a marketer, I have found myself heavily involved in this battle many times. I have seen things that were delivered to prospects that would make any marketer shudder. Skewed photos, graphics and logos; boilerplate copy that some how ended up with typos – many typos – and not very much boilerplate; presentation slides created with fonts I can’t identify in colors I have never seen…the list goes on and on and on. The battle begins when I point out the errors to the sales rep and they argue that what they did actually made the document better. Most of the time, they think they have created something beautiful that their prospect loved more than what they could have delivered if they stuck to the approved content. Over the years, I have learned that salespeople really aren’t out to get marketing (well, not ALL the time). Truth be told, most of the salespeople I have encountered who defiled (that’s how I felt about it at the time) marketing-created collateral, weren’t doing it because they didn’t care about messaging or branding or because they didn’t like our guidelines. They were simply focused on the prospect. Their desire to change what they were delivering was driven by what they thought their prospect wanted and not by a strong dislike of all things marketing. They wanted to move the prospect closer to a sale. Today, my perspective has changed. With the volumes of content available, the ability to deliver tailored, relevant and specific messaging to prospects is extremely important. Taking an approach that does not allow for flexibility in messaging is a recipe for disaster. The inconsistency of look, feel and quality that I referred to earlier does not allow the company to present itself in its best light. To the customer, it feels amateurish and can diminish an otherwise strong value proposition. It leads to different promises being made to different prospects. I’ve seen sales lost in the contracting stage because of a promise a sales rep made in their presentation deck without authority and without communicating it internally. This also leads to confusion on the operations and services side as every customer has a different expectation. Without a centralized approach to manage the process lots of learning is lost. It’s important that the leadership team is able to see who is saying what to whom, and what’s working. This data is crucial to ensuring that the process is constantly improving. The question then is: how can marketing provide that flexibility to sales without compromising the integrity of the content? The good news is that the growing world of sales enablement processes and tools makes managing this approach possible. Here are seven tips for building a process that works for everyone – especially your prospects. 1. Create a variety of templates. Take the guesswork out of sending an appropriate email to a prospect by providing salespeople with templates. Create a variety to address as many situations as possible. Identify parts of the message that can be personalized further and provide example copy to use in those areas. At Imagine, we use HubSpot’s CRM and create templates there for easy access by salespeople. 2. Inform your salespeople what content to use, when, in what scenarios and how. Organizations today have loads of content. Finding the right content for a specific prospect could be a monumental task for any salesperson. Take the time to identify and organize content in a way that is easy for sales to find and use. Define the types of content that should be used in any given situation. For example, create options for each of you buyer personas by buyer’s journey, vertical or a combination there of. If you’re running lead nurturing programs or campaigns, create a series of content that would be appropriate to use with those contacts. The key is to make it easy for sales reps to identify the appropriate content and then quickly and easily find it and send it to their prospect. 3. Treat sales-driven content like legos. My son loves legos. He mixes and matches all of the “sets” to create a variety of buildings, vehicles and creatures. When building presentations and documents, it’s important to take a lego-type approach and create modular pieces. This will enable salespeople to build the right message for the right situation. For example, create a series of content in a variety of types for a specific persona at the top of the funnel. Create another series for the next step in the buyer’s journey. If a sales rep isn’t exactly sure where they are, they can mix and match based on what they do know. Creating this flexibility in the system allows sales to provide relevant content in any situation. However you establish your system, there will be gray areas. For example, put limits on the number of pieces of content to share based on defined criteria. Be very specific about the parts of a template that can be customized and the parts that cannot and be sure to define how the process will be evaluated. It is important to spend time training your sales reps on content. Teach them how to identify and find the content for every situation. Help them understand why one type of content is designed for the top of the funnel as opposed to a piece that is geared to the bottom of the funnel. The more they know about the content and its intent, the bigger impact they can have on prospects. 6. Use technology to enable the process. Last week, Doug wrote a post about technology. In the post, he pointed out just how much is available to marketing professionals. As you may know, there are plenty of tools available to help you with this process. For example, Postwire and UberFlip allow you to create resources pages for specific prospects. They also tell you which pieces the prospect engages with which allows you to refine the process as you learn more. PandaDoc is another option for building specific proposals and presentations. It also includes and e-signature function. 7. Share the data so everyone knows what’s working and what’s not. As you implement a flexible messaging system, it is important to analyze the results. This will allow you to know how and where to adjust your approach. Knowing who is engaging with what will shape how sales reps use content in the future. Sharing this data with the entire demand generation team on a consistent basis will help everyone improve. In today’s B2B world, it is more important than ever for sales and marketing teams to work together to realize revenue goals. Creating an easy-to-use flexible messaging system and clear guidelines for using it is a huge step in the right direction. End the epic content tweaking battle and see better results!